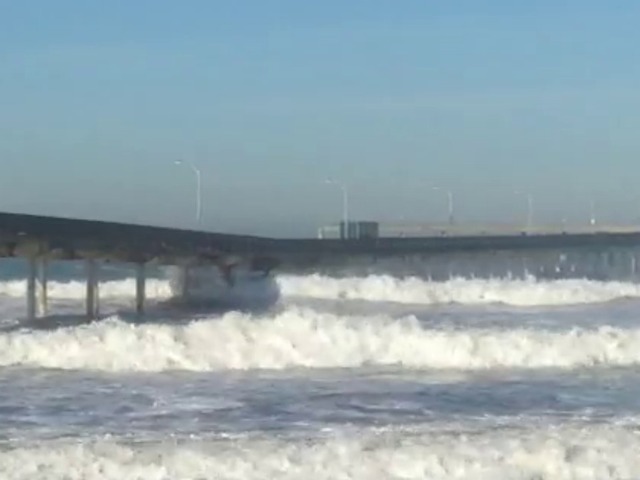 SAN DIEGO - Powerful waves pounding the San Diego-area coastline Tuesday prompted lifeguards to temporarily close Ocean Beach Pier as a public safety precaution. A National Weather Service high surf advisory was in effect amid breakers of 5 to 8 feet and local sets to 9 feet along the coastline south of Del Mar. The alert was scheduled to expire Tuesday evening. Lifeguards shut down the city pier at the terminus of Niagara Avenue in the late morning as breakers crested the fishing and sightseeing platform atop it, according to the San Diego Fire-Rescue Department. The landmark structure was reopened to the public about 3 p.m., following repairs to minor railing damage caused by the crashing walls of water, SDFRD spokesman Lee Swanson said. 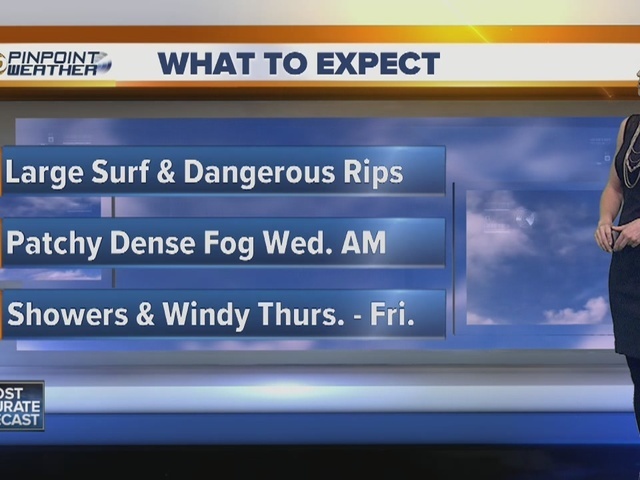 A second swell is expected to bring similarly large and potentially damaging surf with local sets to 12 feet late Thursday and into the weekend. The large waves, which may break over jetties and sea walls, and strong rip currents are expected to combine to create dangerous swimming conditions. Minor beach erosion will possible with slight coastal flooding during high tides, according to forecasters.